The moment I gave birth to my son Maddox my world changed. I knew after that amazing experience that I never wanted to forget what the moment looked like after working so hard with my partner and my doula to labor my extra cozy little babe earthside and into my arms. These powerful moments were when I was both at my lowest and my highest. I was so tired, I was so strong. The moment was RAW and there was nothing I could do except trust. Trust that my body would work in ways it never had and trust that my baby was going to come out. After my birth experience I realized that my birth team was the biggest reason I was so successful in keeping to my plan and feeling successful. I felt like I had done the hardest thing I would ever do, and I wanted to process it more. But I didn’t have any photos to look at and no way to see my strength or the way my partner was working with me. I had nothing to look back on. It was then I realized that I wanted that to be different and I knew that I could hold energy and love in a birth space in a way that is unique and that I am able to capture that raw personal moment for other mamas to be able to process and see their strength. I have been a photographer since 2011 and have been photographing births since 2013. I have photographed over 80 families bringing their babies into the world. Low light is my friend, we know each other very well. Honestly, lighting is different for every birth. I have found that many of my families prefer the look of images with a bounced flash. Meaning that I point the flash directly up to the ceiling at a low setting. If the flash is bothering you, I have no problem working with no flash, my cameras are of the highest quality and you will have your story still beautifully told no matter the situation. I ask you to call me first when you are in early labor so that I can pick up my gear and then we will keep communicating, keeping me updated into active labor. We can talk more about what that might look like, but typically I come to you when you are no longer speaking through contractions and into what I like to call Labor-Land, when your contractions have picked up in intensity and you have to focus to get through them. And then I pack up after your baby has their newborn exam and have some sweet loving skin to skin time. In the event that you pull the long labor card, I will be there! I have slept in many different homes and hospital floors/waiting rooms... 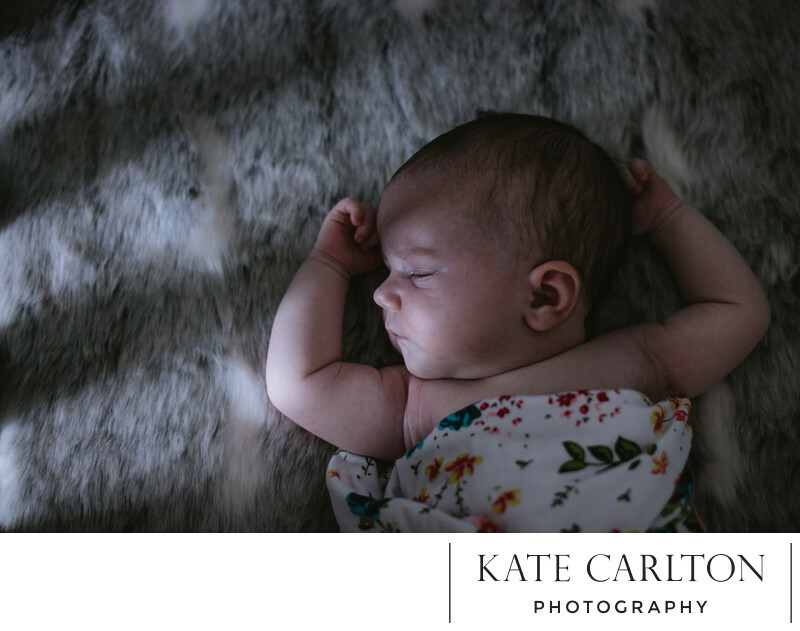 If needed, I have a back-up birth photographer always in place for all my births and I will talk more about her later. It is SO important to have someone who understands how scared a birth space is. I am a quiet and peaceful person by nature so this part comes easy for me. I am very intuitive and if you or your partner need a word of affirmation I will send you some, but for the most part I am absolutely peaceful and out of the way. The birth workers that I work with the most call me a birth ninja. I always capture video during a birth to fill in the story and give you a chance to hear and see your strength as you move and navigate your labor and birth. 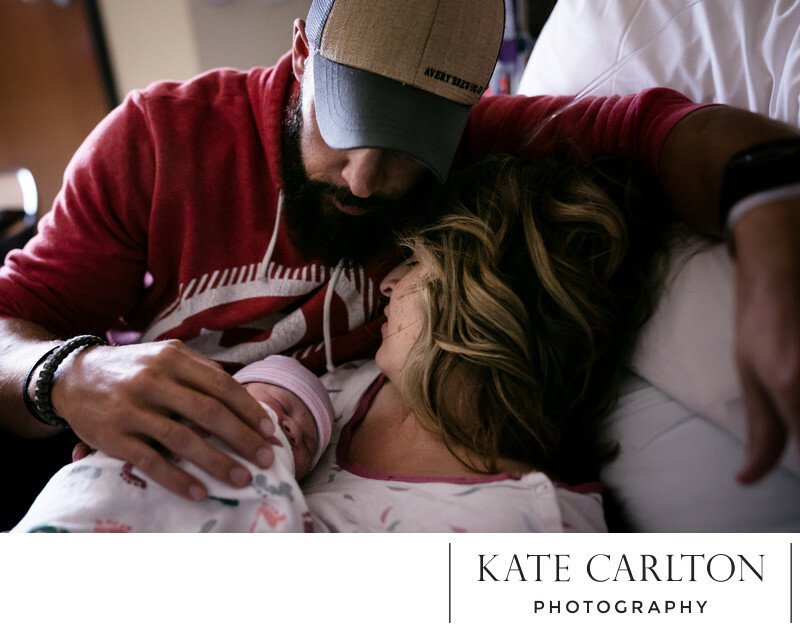 My priority is on still images, but as an experienced birth photographer I am able to make sure that I capture all the moments I possibly can. You will have an opportunity to purchase your video once you see it. Birth is never “typical” and is often unexpected. But here is where I get to brag on my good friend Danica who is my back up photographer. She and I have both been in the birth business for many years and run our businesses so that we can back each other up. I call her every time I go to a birth and she and I never take a vacation at the same time. (Seriously we coordinate!) She is there to step in if you were to go into labor earlier than expected and I am traveling and I do the same for her. If I am held up and can’t get to you quickly enough, or at another birth, she comes in and covers that time until I can get there. After your birth, she gives me the photographs and video and I edit them and present them to you just like we would have done if I was there the entire time. I have photographed all types of births! Hospital birth, home birth, birth center births, inductions, natural birth, scheduled cesarean, transferred home birth to hospital. All of it. What ever you are planning, I am all in and invested in telling the story of how you birth. 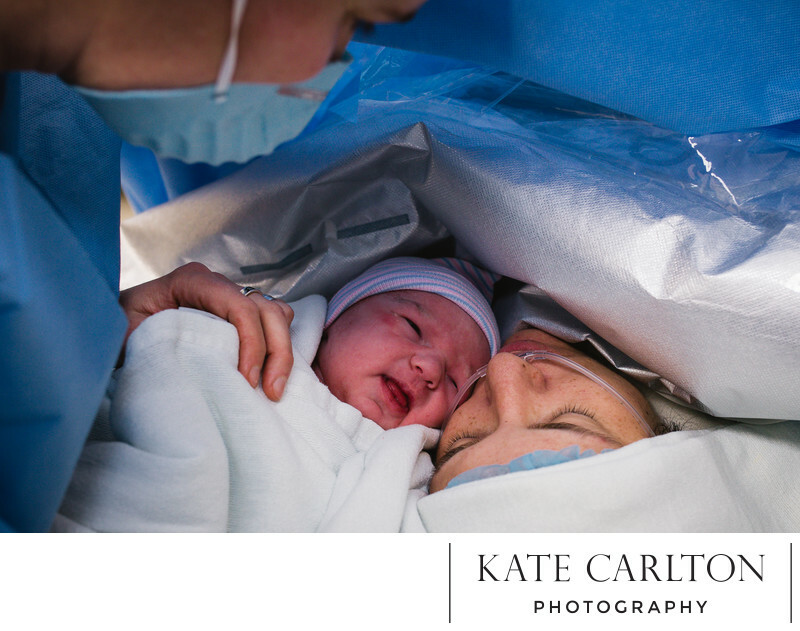 What types of birth do you most often photograph? I don’t actually have a type of birth that is most often, but I do have several people that I work with very often. I am the photographer for The Doula Circle and that team of doulas are the real deal. If you are still building your birth team, these women are a group you must meet. You call me! I am on call for you and sometimes the unexpected happens. Sometimes I am not allowed in the OR (this depends on a lot of factors), but I will be there to document the before and after and will give the person going back with you the opportunity to take my camera in. When do we call you to come? Have you ever missed a birth and what is your process if that happens? This is a great question and one I am asked all the time. I talked a little about this earlier, but I ask that I am notified when you feel like you are in early labor- I need at least an hour, preferably two, to get my kids taken care of and me to you safely. Birth is a tricky business and this is a fair question to ask. My photographer and my doctor both missed the birth of my daughter Norah! I have only missed one birth and that baby came 30 minutes from the time I was called letting me know that early labor had started. That speed is so rare! I came as soon as I could be there safely (made it for the birth of the placenta if that tells you how fast I got there) and hung out with the family for a few hours after birth and did a long first 48 session and I was able to get all those sweet moments right after birth.